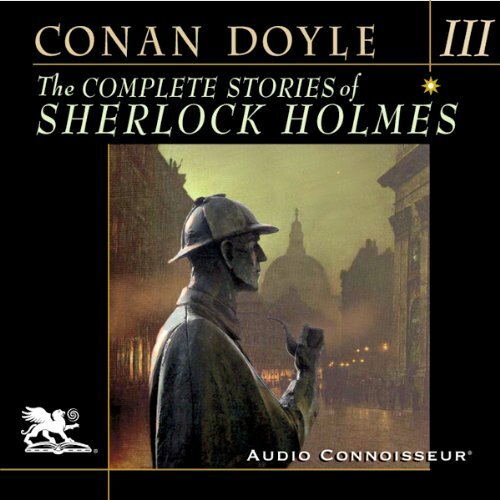 I really enjoy the Sherlock Holmes stories and books, so I was happy to find this available in audiobook form. The narration isn't as great as I'd like -- the narrator speaks a little too quickly for my tastes and some of his voices (particularly for female characters) sound a little distractingly silly -- but overall this is a solid compilation and I'm happy to have it. Note that while it's the "complete" stories, they're spread across three volumes, so you'll have to buy all three to have the total collection. Speaking of, I really wish the Audible application could show which track corresponds to which story (rather than just Chapter 1, Chapter 2, etc. for the whole kit and kaboodle) but that may be a technical limitation they couldn't get around. 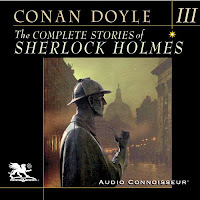 Volume 3 consists of the novel "The Valley of Fear", and the stories in "His Last Bow" and "The Case Book of Sherlock Holmes".